I love giving my family a little treat for the holidays! Starbucks has had the CUTEST holiday shaped gift cards lately! During Valentine's Day they had heart shaped gift cards that were so adorable. When I went to grab some green teas a few weeks ago (my favorite! 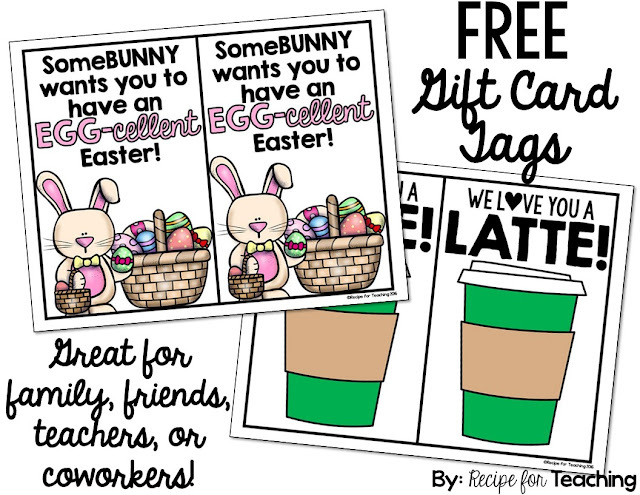 ), I noticed they had Easter egg shaped gift cards! I had the idea to make some gift tags to go along with the gift cards. 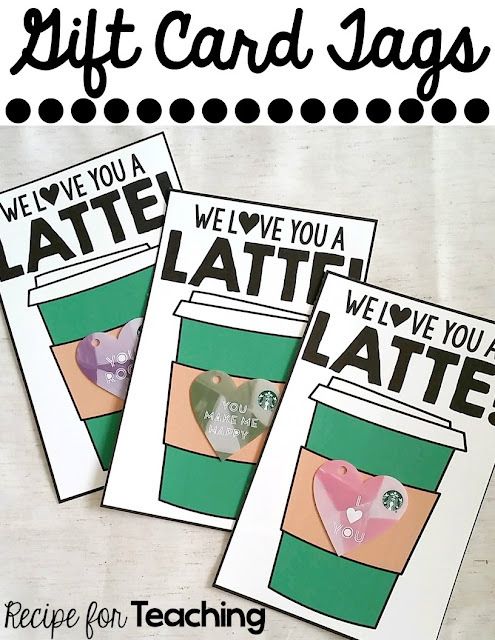 These are the tags that I gave my family for Valentine's Day, however they could really be used any time of the year for the coffee lover in your life! They would be perfect for a teacher gift and "Teacher Appreciation Week" is coming up in May (May 2 - May 6). And these are the Easter gift card tags that I am giving my family. 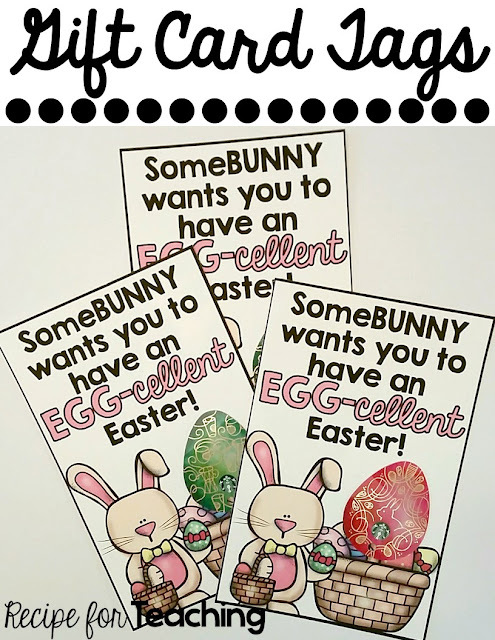 Aren't those Easter egg gift cards just the cutest?!?! If you don't want to use Starbucks gift cards on the tags you could also use egg shaped candy and attach them on the basket. I'm sure someone would love to get a Reese's peanut butter egg as a little treat - yum! 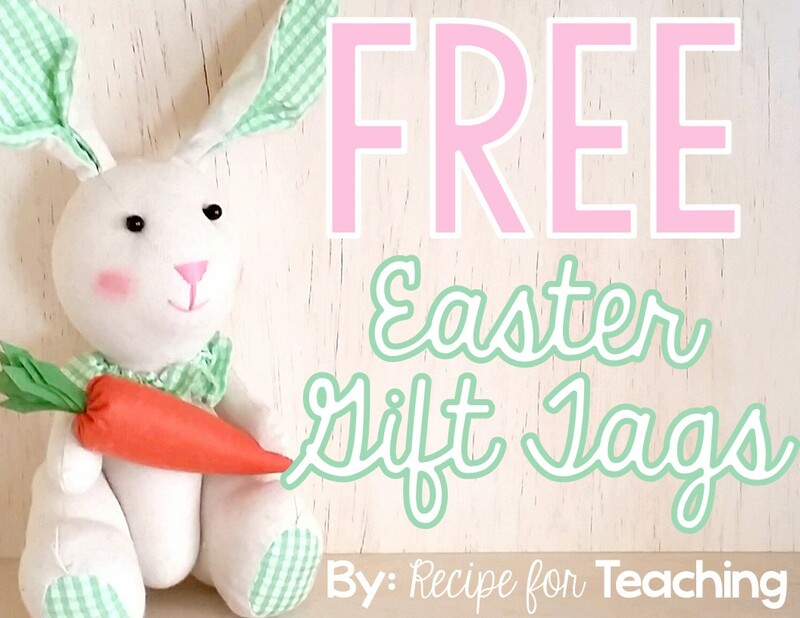 I have included both gift card tags in this FREE download! Just click the image below to grab your FREE gift card tags! 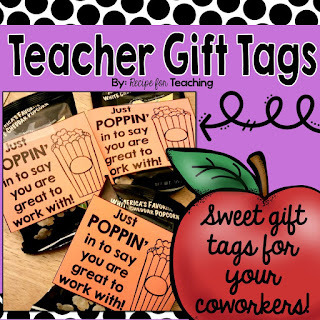 If you are looking for more gift tags, be sure to stop by my Teachers Pay Teachers Store! 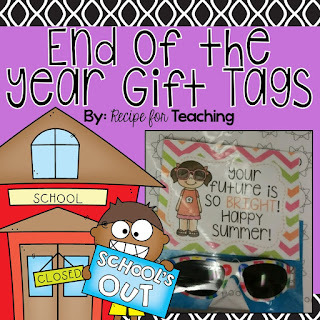 I have End of the Year Gift Tags and Teacher Gift Tags that you might be interested in!